Died: 18th August 1915; age 26; KiA – On a dangerous reconnaissance, accompanied by his Corporal; Eric was shot through the head, dying an hour later without recovering consciousness. His men were so overcome by their loss that they were ordered out of the trenches and relieved by another Company. 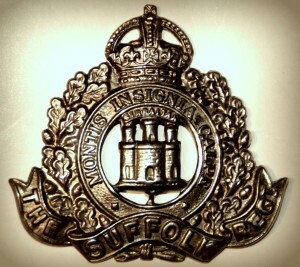 Eric joined the 4th Battalion, of the Suffolk Regiment, as a Second Lieutenant in October 1909. 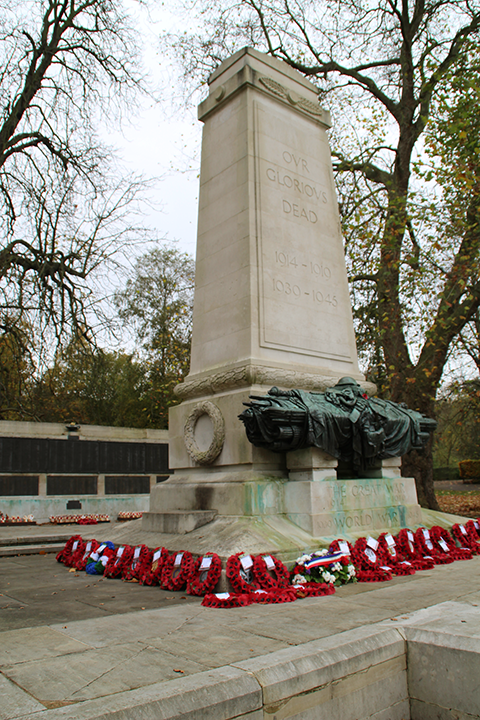 His Regiment went to France in November 1914. He was for some time the Senior Territorial Officer with the Regiment, when his Senior Officer was wounded and invalided home. Eric was the right-hand man of his Colonel. Date of Entry Therein: 9th November 1914. Regiment: Household Cavalry and Cavalry of the Line (incl. Yeomanry and Imperial Camel Corps) Battalion: 4th Suffolk Yeomanry. Gazetted to 4th Battalion, Suffolk Regiment, October 1908. Medals Awarded: Victory & British War. Military Cross and Gazetted 29th June 1915. Mentioned in Despatches in May 1915. Relatives Notified and Address: Son of Edgar Jermyn Brown and Annie Josephine Brown, of “Villette” Tuddenham Road, Ipswich. Brother to HORACE MANTON BROWN. 1891 Villette, Tuddenham Road, Ipswich. Edgar Jermyn Brown, 34, a Timber Merchant – own account, born Ipswich. Annie Josephine Brown (nee Lovely), 32, born Calcutta, India. Cecil Jermyn Brown, 4, born Ipswich. Nina Josephine Brown, 1, born Ipswich. Edith Annie Brown 2 months, born Ipswich. 1901 Villette, Tuddenham Road, Ipswich. Eric was 12 years old and living with his parents & siblings. Edgar, 44, a Timber Merchant – employer. Keith William Brown, 8, born Ipswich. Harcourt Glyn Brown, 7, born Ipswich. Horace Manton Brown, 3, born Ipswich. 1911 Villette, Tuddenham Road, Ipswich. Eric was 22 years old, a Timber Merchant and living with his parents & siblings. Edgar, 54, a Timber Merchant – employer. Eric attended Ipswich School – entered the Preparatory School in January, 1896, he was 8 years old – entered the Sixth Form in September 1903. He became a member of the School O.T.C. in 1901, and attained the rank of Sergeant. Eric became a Prefect in 1904. He won numerous prizes including a Bartlet Scholarship in 1902. He won Colours for Gymnastics in 1902, and the School Gold Medal for Gymnasium in 1902, 1903, and 1906. He represented the School at Aldershot for five years, four of which he was partnered by his brother Cecil. Eric did well in Athletic Sports, and played for the 1st XI. at Cricket, in 1904, 1905, and 1906, and at Football in 1905 and 1906, and at Hockey in 1906. Eric belonged to every School society, and was on the Games Committee. In 1910, he became Secretary for the Old Ipswichian Club, and was engaged when war broke out in compiling a register of the names and addresses of all O.I’s who had entered the school in the last 60 years. After leaving school, Eric went into business in Ipswich and London, afterwards spending six months in Finland, gaining an insight into the Timber business. He returned to England in 1908, and played Cricket with Ipswich & East Suffolk Club, and represented Ipswich Town. He assisted the O.I. XI., in the Arthur Dunn Cup on several occasions. He later gave up Football to play Hockey for Ipswich Town. On the 29th November 1917, Edgar Jermyn Brown Esq. applies for the 1914 Star in respect of his late son Eric. Eric’s brother Cecil was an author & editor in the 1920’s & 1930’s. Cecil abridged and edited The Three Musketeer’s by Alexandre Dumas in 1936. Eric is also remembered on the Chapel war memorial at Ipswich School, and at St. Margaret’s Church, Ipswich and St. Mary at the Quay Church, Ipswich. 1 Pings/Trackbacks for "ERIC LANDON BROWN"